Domaine Gérard Schueller is located in Husseren-Les-Châteaux, a few kilometers south-west of Colmar, Alsace. Father and son, Gérard and Bruno Schueller had worked on 7 hectares and another 3ha were consigned in 2017 for the new project called "Lucie Colombain". Bruno Schueller joined wine-making in 1982. 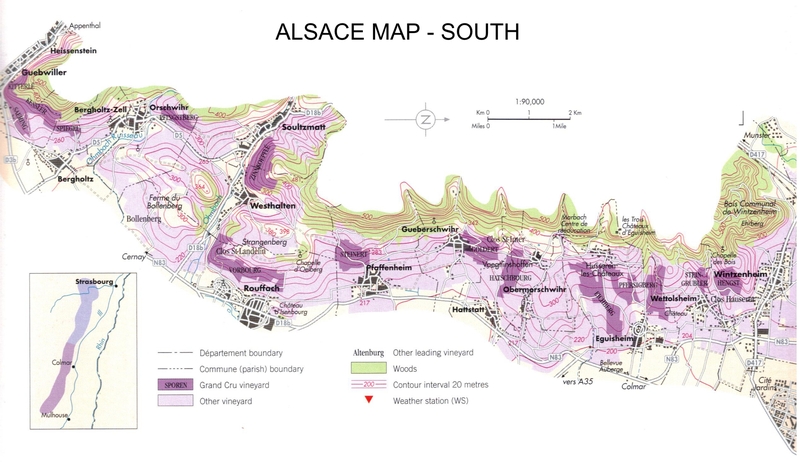 They own land on Grands Crus that are split between Eguisheim and Husseren-les-Chateaux, namely Pfersigberg and Eichberg. 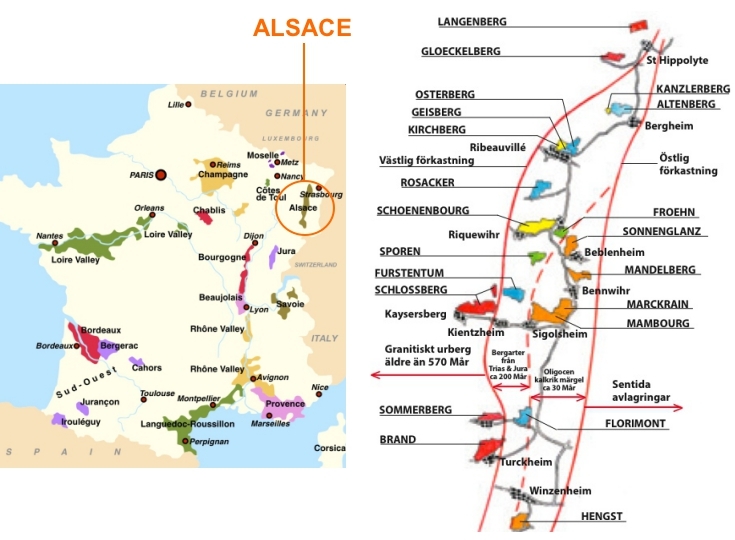 The most interesting terroir might be Bildstœcklé. This lieu-dit is within the commune of Obermorschwihr, the southern neighbour of Eguisheim. 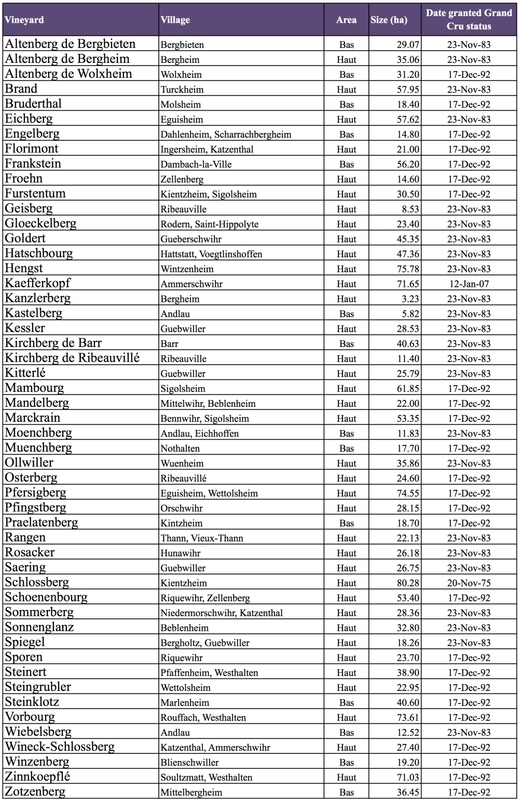 Bruno Schueller produces around 40 different cuvées and releases around 25 wines eventually every year. Each cuvée is differently tailored every year according to the characters of each cuvée. Bruno brings out maximum potential of combination of grape variety, terroir and weather of each vintages. Bruno is a genius, he can understand what grapes want to be clearly, then he just assists grapes to go right direction. As a result, style and taste of same wine(same grape variety from same vineyards) will not be a same every year. The icon of Vin Nature does not produce Vin Nature. Gérard and Bruno Schueller have managed their vineyards biodynamically and never used herbicide or chemical fertiliser for several decades, although they do not have intention to apply for the formal certification. Bruno is very open and positive to share his experience and philosophy with other sincere producers, but he does not belong to any group or association. Bruno Schueller is very independant-minded and says their wine-making must be free to make the wine they want. He prefers to stay free from strict frames of biodynamie, and keep flexibility to adapt to different situations to make best wine. Bruno makes wines with minimum intervention. Zero sulphur is added during the vinification, the primary fermentation is allowed to reduce the residual sugar to a bare minimum, and Bruno opens up for malolactic fermentation. The result is characteristic, golden, aromatic wines with superb purity, dense, lively, and dry finish with profound minerality. - Drink it with an open mind. 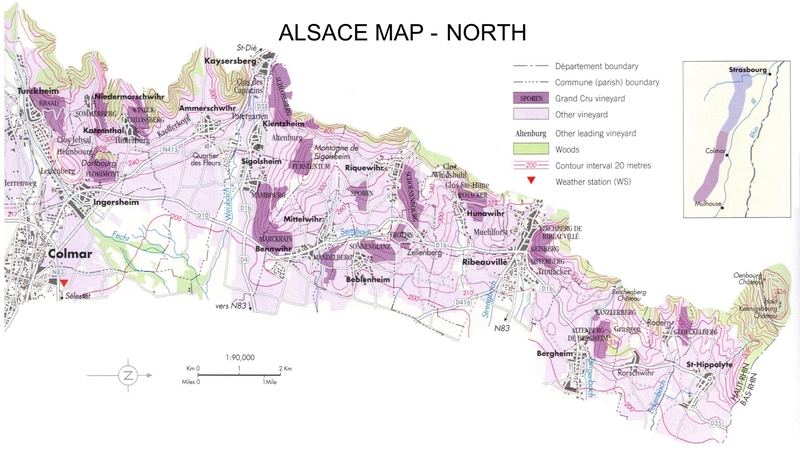 The wines are not always in line with what is seen as typical for varietal wines of Alsace. In fact sometimes the wines of Bruno Schueller do not pass the sensory tests of INAO. However, this does not seem to worry Bruno. Tiny volume of his wines are in great demand from enthusiastic drinkers, especially natural wine bars and restaurants. Bruno doesn't want to be involved trouble with INAO or CIVA, so he is planning to step away from those committees and will release all of his wines as Vin de France in the near future.